It's Fitness Month here at Mobile Nations and part of getting in shape involves eating better. The Weight Watchers program probably isn't new to many people that are trying to diet. If you haven't used it personally, you've most likely heard of it or know someone who has used it. The mobile version for iPhone and iPad is part of Weight Watchers' supplementary tools for their online program. 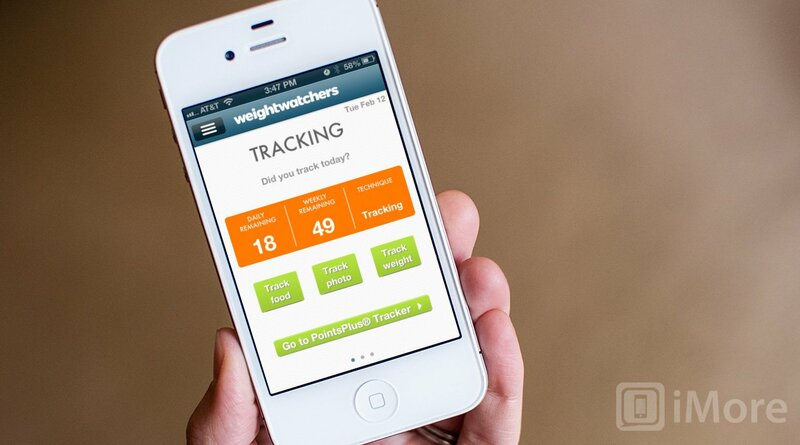 Weight Watchers Mobile can help you track points, find recipes, set goals and track your weigh-ins, and more. The real question is, does it really work as a supplement to attending meetings or is their program better than free tools that don't require subscription fees? If you've used the Weight Watchers program before in the past, you'll be able to navigate your way around pretty easily. The main menu consists of options for your PointsPlus Tracker, a place to track your weight, healthy checks and more. Most users will probably spend a lot of their time inside the tracker portion of the app. This is where you can find information on points values for certain foods as well as track all the items you're eating. Weight Watchers has also added a few new sections to their app including spaces and routines. Spaces operates like a tip bank where you can go and view tips to help you stay on track. You'll see different scenarios you can choose from. For instance, there are options for eating out, traveling, shopping, special occasions, at work, and at home. You can choose any of these spaces and view tips that help you stay on track. Examples include when you really want desert, Weight Watchers will recommend pre-planning and dipping into your weekly FlexPoints balance. While some of the tips are common sense, some tips are ones that many users will find useful when put in situations they aren't sure how to handle. Routines aim to help you get into healthier routines. Upon first opening routines you'll see a list of things that Weight Watchers recommends for weight loss success. You can choose any of these and add them to your routines page. Then each day you can go in and check off if you've remembered to do those things. Things that they recommend vary from eating a fruit or vegetable with every meal to getting a full 7 to 8 hours of sleep every night. Other options also include wearing a step counter mechanism or making sure you eat breakfast daily. Habits that you need to change are the ones you'll want to add to your routines. 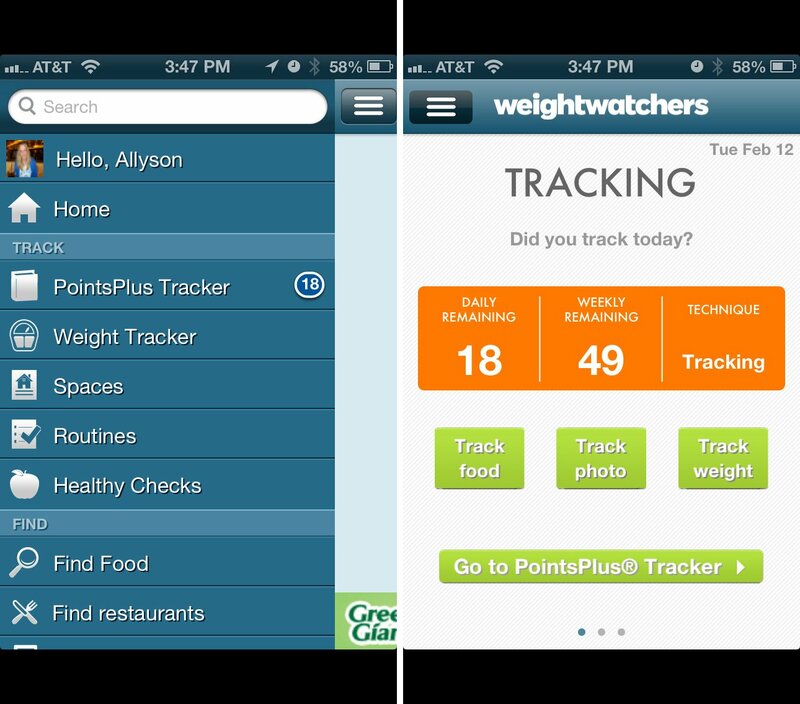 The PointsPlus tracker is where you'll spend a bulk of your time when using the Weight Watchers Mobile app. After you've set up an online account and signed in, your points will be brought down from the online web version. Both places sync simultaneously so regardless whether you input things within the app or the web browser, the next time you load Weight Watchers Mobile you will see your PointsPlus values update automatically. Across the top you'll see how many points you've used, what you have remaining for the day, for the week, and activity point balance. As anyone already using Weight Watchers knows, you'll need to deplete your weekly points before you'll start dipping into activity points. To add food or activity you just tap Add To Tracker and a menu will pop up that allows you to search for foods, add them from favorites, or search for different activities. You can also quick add foods that you already know the PointsPlus value for. If you've used the Weight Watchers program before, you'll know how to use most of the tools and how to get around the app. You'll also have options to view recipes and the points values for them. There are also features that let you interact with the community such as reading success stories. The other main component is the weight tracker section. This is where you'll weigh in and track your weight every week. You can also add notes with your recorded weight so if there's a reason you gained or lost, you can notate that for future reference. While the feature set is there, the iPhone 5 has now been on the market for around 5 months and the Weight Watchers app still has not been updated to support it. There have been updates to features since the release of the iPhone 5 so an update, in my opinion, is long overdue. Considering the price of the subscription, these tools should be up to snuff with what is currently on the market. iPhone 5 support aside, the Weight Watchers Mobile app is a great tool if you're using the Weight Watchers plan. The catch is that even though the app is free, you'll need an active Weight Watchers subscription in order to use it as a point tracking system. That typically ranges around $20 a month. The online program is a great program with great tools like Weight Watchers Mobile for iPhone and iPad to compliment it but it's at a cheaper price without meetings. For users that really need the support of others or meetings to encourage them to stay on track, it can get pricey fast. If you can deal with doing it on your own or using the online program compliments your lifestyle better, I'd recommend it. If you're tired of counting simple calories and want to try something more balanced, Weight Watchers can offer you that and the Weight Watchers Mobile app is like having an entire guide right in your pocket and at your fingertips.